The Community Foundation hosted more than 130 representatives from nonprofit organizations across the region on August 30 and 31. "We are thrilled with the number of nonprofit staff and volunteers who attended our 'Social Media for Nonprofits' sessions," said CFNEM Executive Director Patrick Heraghty. "It really shows how needed this type of training is for the organizations we serve, and how committed people are to helping their nonprofit succeed." Facilitating the training sessions was Sola Obayan. Sola is the founder of the So cial Media Association of Michigan, and the lead consultant of the Detroit-based BTO solutions. Her work has been featured in media outlets such as Fast Company, Women 2.0, Xconomy, and WXYZ Channel 7. Two sessions were held in Alpena on Wednesday - one for beginners, and once for more experienced users of social media. 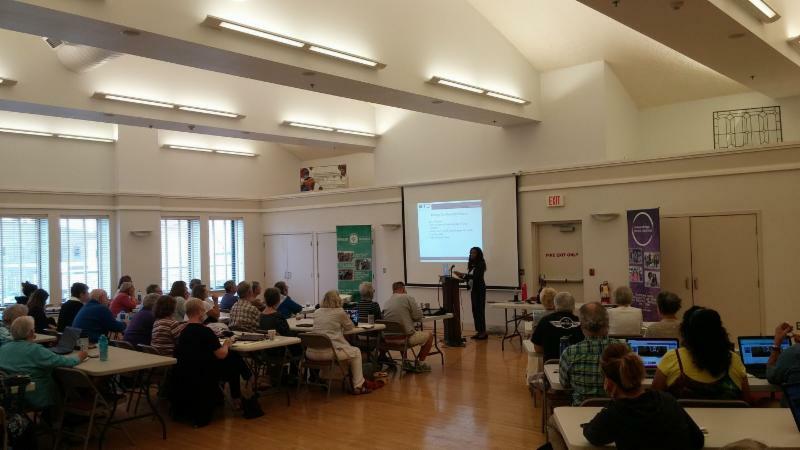 A third session was held in Tawas City on Thursday for all levels of experience. "We really want to make sure our local nonprofits have the tools and knowledge they need to reach new audiences and make an impact for their organizations through online marketing," said Heraghty. "If an organization isn't using social media now, they need to get there. How great that so many nonprofit representatives are now well-positioned to do that."